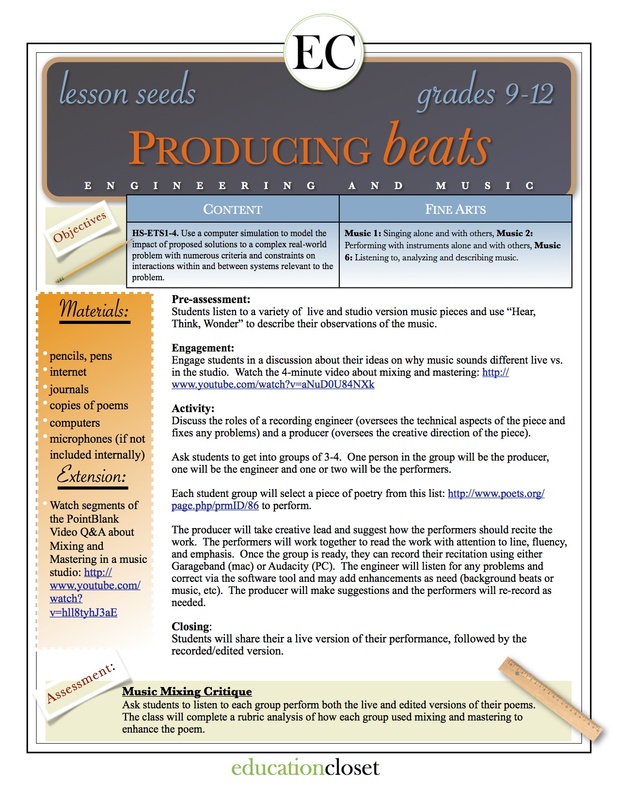 Today’s lesson seed looks at the engineering design process through the eyes of music production and poetry. 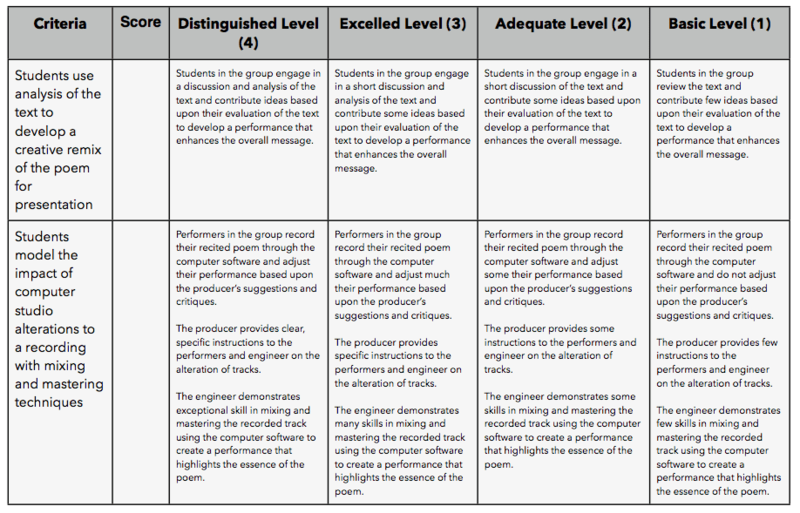 While the standards being intentionally addressed here are from the Next Generation Science Standards and Music Content Standards, you could also easily extend this lesson and intentionally connect several Speaking and Listening English Language Arts Common Core Standards as well. In this lesson, students are using observational skills to identify the differences in audio between live and studio sounds, discovering how recordings are engineered, mixed, and produced, and creating their own mixed and mastered audio track using a recited poem. 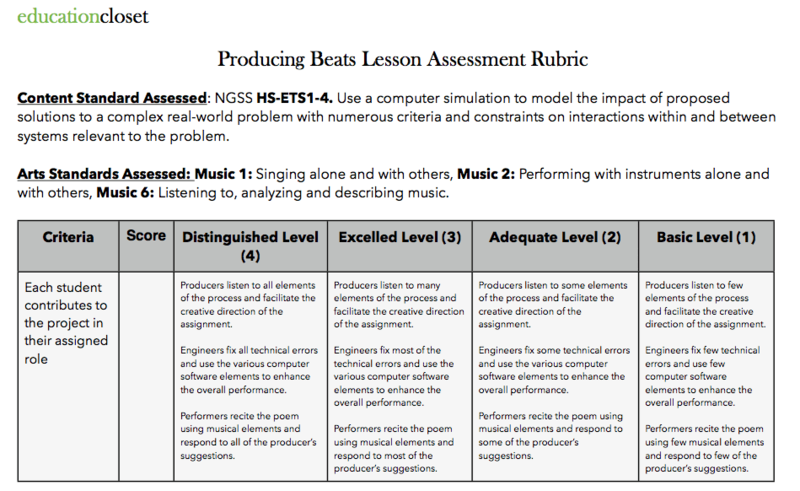 Together, students are working through the engineering process of problem-solving, critical thinking, and designing new solutions through computerized elements while simultaneously listening, analyzing and producing sound using this elements of music. This authentic lesson uses real-world applications to deepen student’s understanding of both the artistic and scientific process that is involved in studio engineering. Remember – as with all of our lesson seeds, let this serve as your inspiration for creating a full-bodied lesson plan that will engage your learners. Enjoy!